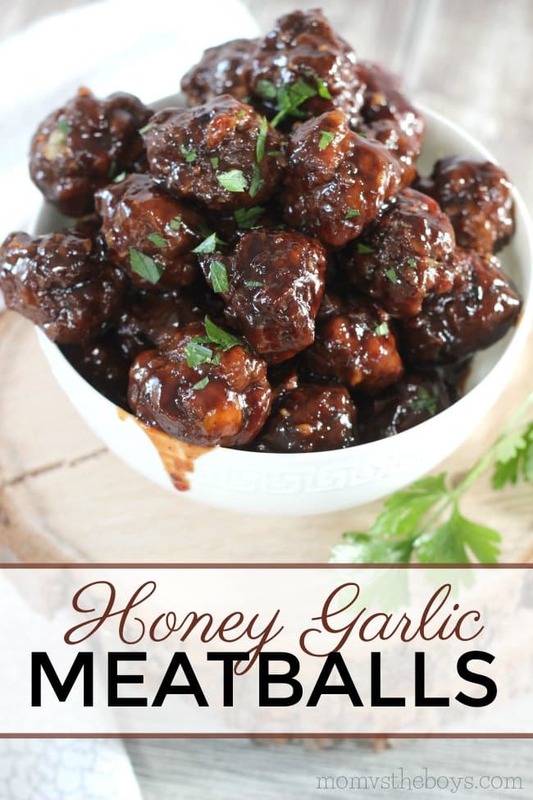 These Honey Garlic Meatballs are baked in the oven and have the yummiest homemade honey garlic sauce. 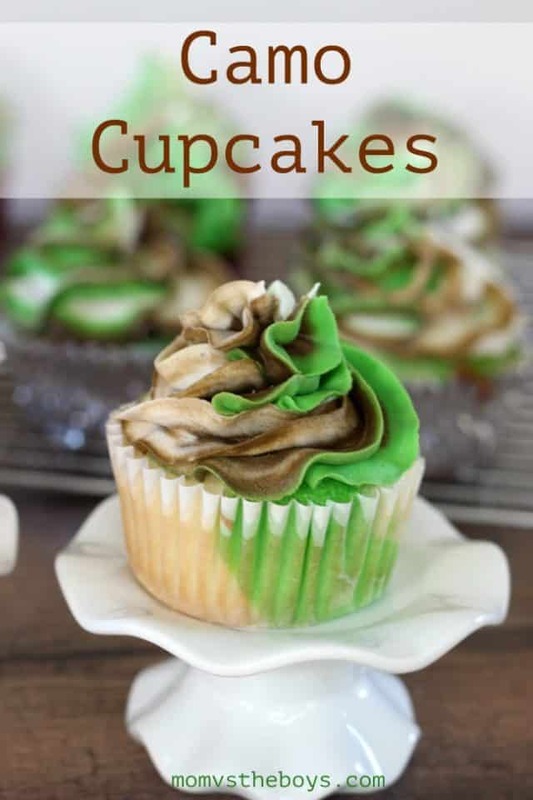 It’s sure to be a family favourite! As a family of five a with a few picky eaters, it’s not often when we have a flavour we all agree on. The one we do though, is honey garlic! A little bit sweet and a little bit savoury, honey garlic sauce is a big hit with both the adults and the kids. 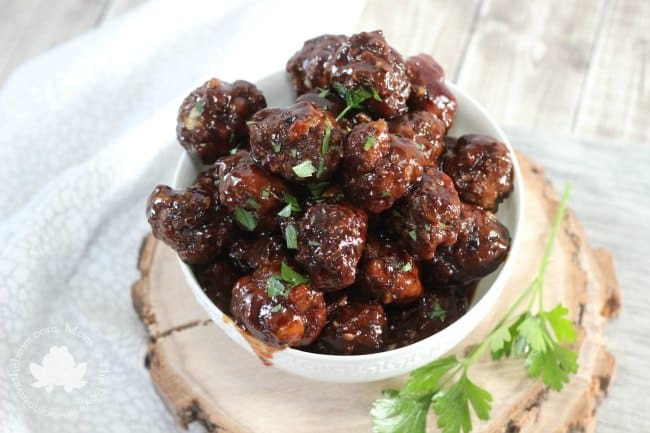 From honey garlic meatballs to chicken wings, it’s our favourite flavour and I know that when I serve it, everyone is walking away with a full tummy! In a large bowl, mix all ingredients by hand and form into balls. 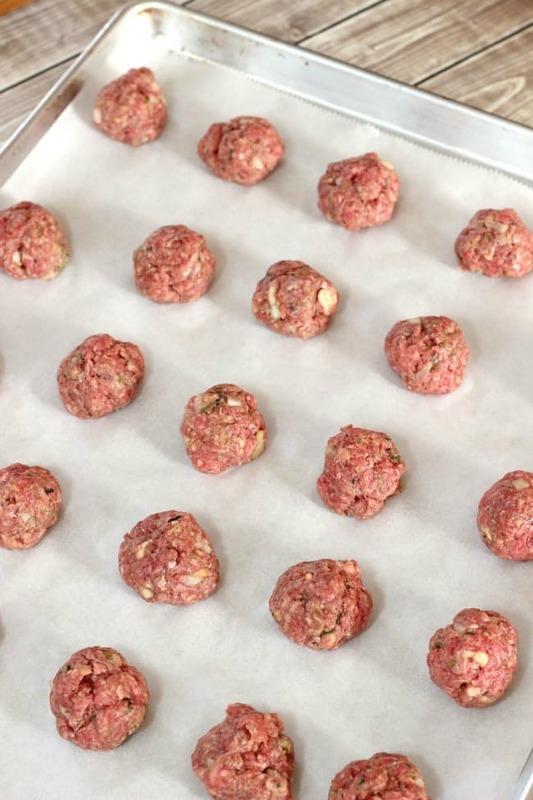 Place meatballs on a baking sheet lined with parchment paper and bake in oven for 30 minutes. In a medium sized pot, mix together the brown sugar, honey, ketchup, soy sauce, and garlic. Heat through and let simmer for about 5 min. Place cooked meatballs in a bowl, pour sauce over top and toss to coat. 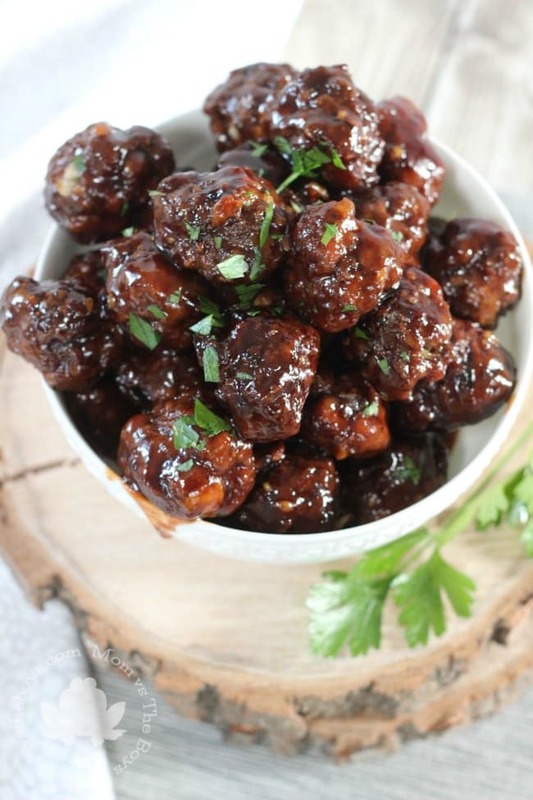 Honey Garlic Meatballs make a tasty appetizer on their own, they are perfect for bringing to potlucks, holiday parties or game day parties like the Super Bowl. 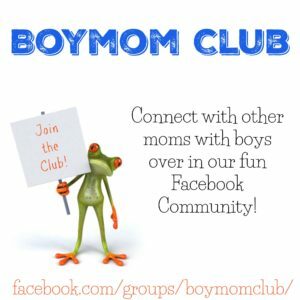 You can also make them for an easy weeknight meal over rice or noodles as a main dish. I love to serve them on a bed of rice with a nice fresh side salad. If you want to dress your meatballs up a little, garnish with fresh chopped parsley or sesame seeds. Yes! 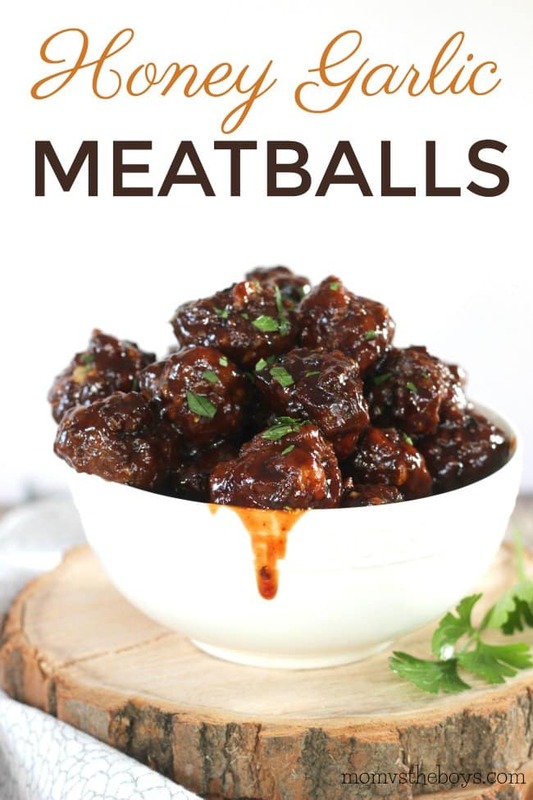 If you are rushed for time or just not interested in making your own meatballs from scratch, go ahead and use the frozen meatballs you have on hand. Just cook the meatballs as directed on the package and add the meatballs to the homemade sauce. 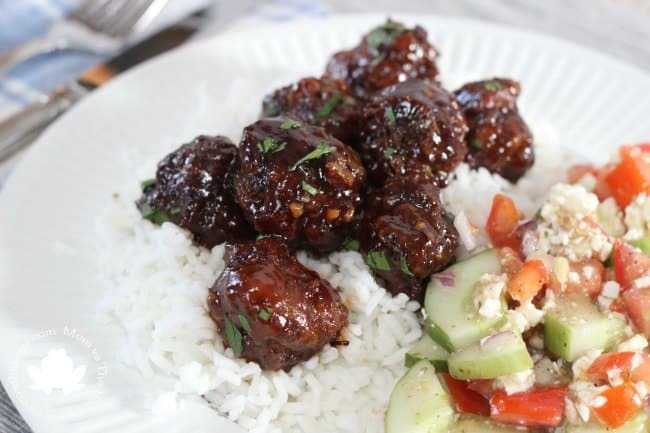 The honey garlic sauce is super easy and quick to make and will turn boring frozen meatballs into something delicious. These Honey Garlic Meatballs are baked in the oven and have the yummiest homemade honey garlic sauce. It's sure to be a family favourite! Place meatballs on a baking sheet lined with parchment and bake in oven for 30 minutes. In a medium pot, mix together the brown sugar, honey, ketchup, soy sauce, and garlic. If your family loves meatballs, you can also try Butter Chicken Meatballs or give this One Pot Cheesy Zucchini Rice a try as a side dish. They look yummy but since I prefer a little less sweetness I would probably modify the honey garlic sauce. These look so good and my grandson just may eat one of them lol He is so picky but the sauce might get him!